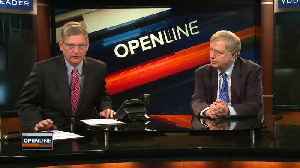 ((VO-Stratolaunch YT))? 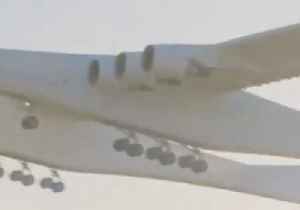 ?The world’s largest airplane ever, took flight for the first time on Saturday, according to the LA Times.???? 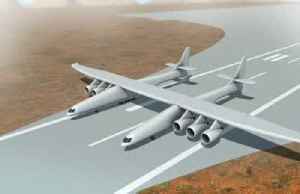 ((VO-Stratolaunch YT))? 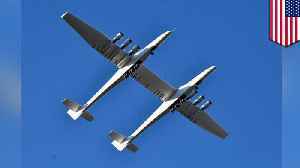 ?The enormous twin bodied plane was created by Stratolaunch, a private company founded by the late Microsoft co-founder Paul Allen. 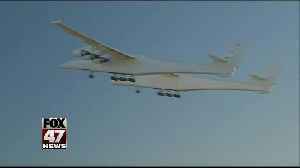 The aircraft’s wingspan reportedly measures 385 feet and from tail to tip its 238 feet long, according to CNN. ??? 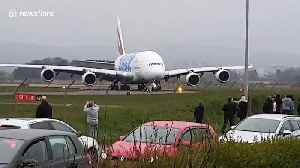 ?The site notes that it weighs half a million pounds and has six 747 engines.????((VO-Website))? 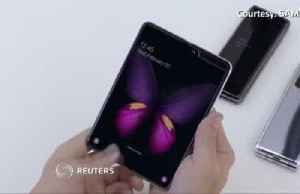 ?The company aims to create a new option for exploring space with its website stating that its mission is to “make access to orbit as routine as catching a commercial airline flight is today.”???? ((VO-Mojave Airport))? 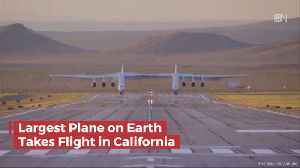 ?The massive aircraft’s first flight was out of Mojave Air and Space Port in Mojave, California.???? 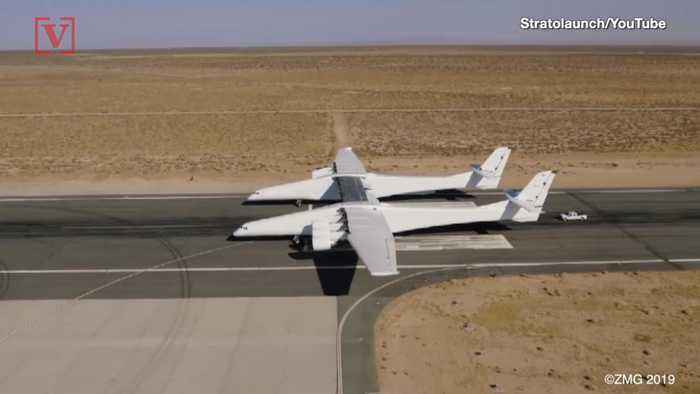 ((VO-Stratolaunch Twitter/YT))? ?The Associated Press notes that the inaugural flight lasted two and a half hours. The Verge reports that the Stratolaunch CEO said “It was an emotional moment for me, personally, to watch this majestic bird take flight. 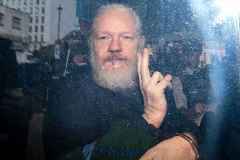 The aircraft reportedly reached altitudes of up to 17,000 feet.????? ?